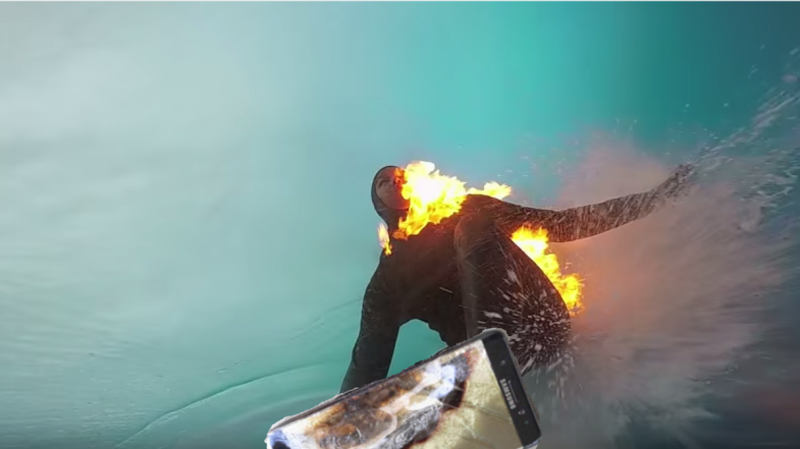 We’ve all seen cute videos of dogs and pigs surfing, but what about iPhones? 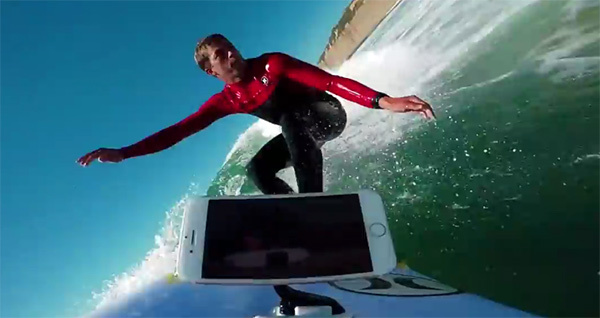 Everyone wants to see an iPhone surf, right? At least that’s what pro surfer Kai Lenny thought, and just to please everyone he set about putting a handful of iPhones through the ultimate surfing test by strapping them to his surfboard and going out into the open waters. While Jaws may not have been their undoing, water was always going to be a worthy foe, even with the iPhone 7 and iPhone 7 Plus’ newfound IP67 water resistance. Kai started off by testing out the iPhone 6 and 6s out in the waves, and you might expect, both the iPhone 6 and 6s that were unfortunately dead within around 5 minutes of surfing, which should perhaps not be all that surprising given their lack of any kind of official water resistance. The iPhone 7, like the iPhone 7 Plus on the other hand does carry an IP67 rating which covers it for sitting in 1m-worth of water for up to 30 minutes. That’s all good, but surfing around with the latest iPhone despite its official IP67 rating is a whole different ball game. But how different exactly? This is what this video of aimed at finding out. After a full half hour of surfing, the iPhone 7 was still going strong, which is perhaps testament to just how water resistant these phones are. Unfortunately however the same cannot be said about the iPhone 7 Plus, which suffered from severe audio issues after the same 30-minute spell in the water. Now whether it has something to do with that particular model and how it’s built, or if it was just an unfortunate unit, is unclear. Now it’s important to note that water resistant is not water proof, and warranties for the iPhone 7 do not cover water damage. No iPhone should have to withstand 30-minutes on a surfboard, and nobody should expect it to survive even if it has in this instance in the video. The fact the iPhone 7 did survive and the iPhone 7 Plus did not just goes to show that these things aren’t built for such torture, though some may survive through dumb luck. That’s the kind of luck we wouldn’t want to push when a $1000 smartphone is at risk! Welcome to 2014, when the Galaxy S series started to be waterproof! Because that the only good thing you can do with a Galaxy, drop into the toilet. You expect this site to be unbiased? They have bills to pay! Do this everyday and watch how fast that salt water will destroy that phone. It destroys everything at the beach.